Dr. Sally Miller is a graduate of the Southern College of Optometry and a Fellow fo the American Academy of Optometry. She is a native of Tabor City, North Carolina and proud to be a third generation of optometry. Having been mentored by her father for many years, Dr. Miller was influenced by his dedication to serving his community through vision. She considers it an honor to continue this dedication to service. 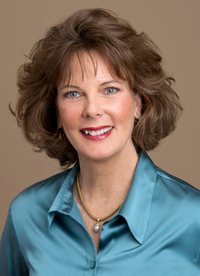 Dr. Sally Miller has been practicing optometry for over 30 years and has treated a wide range of eye conditions. She has a special interest in hard-to-fit contact lens patients. With many success stories over the years, she recalls a patient whose vision had been declining for several years as a result of corneal disease. Surgical removal had left this individual’s vision distorted. After a year’s wait of surgical healing, the patient was fit with specialty contact lenses. Her vision went from 20/200 to 20/20! When not practicing optometry with her husband at Miller Vision Specialties, Dr. Sally Miller enjoys various activities, including hiking, kayaking, camping, quilting and classical piano. She volunteers in her church as a Bible teacher and in various ministries. Dr. Miller actively serves her profession in both state and local positions.